Meet Deborah Minor Harvey - The Right Source, Inc.
Deborah provides process consulting that encourages thinking outside the box, or, when appropriate she aims to remove the box entirely. By box, Ms. Minor Harvey refers to processes defended merely by tradition, or boxes that contain presumption and misconception. Diverse international experience allows her to engage in organizational development employing a broad point of view. As an educator, higher education administrator, nonprofit executive and entrepreneur, her perspectives are uniquely her own. Her areas of expertise include capacity building, leadership development and strategic planning. She specializes in growth strategies. Known for her facilitation skills, she brings her signature brand of group engagement to every team building engagement. Deborah is known for creating an atmosphere where everyone is comfortable sharing. She ensures every voice is heard. Her calm demeanor helps maintain constructive outcomes when groups need to navigate difficult discussions. She’s proven reliable at maintaining group focus when the agenda becomes complicated by multiple issues. Deborah is a woman who leads and builds. She led college-based engineering initiatives as part of the National Minority Engineering Effort. As a nonprofit executive, she worked to improve math and science education in the Chicago Public School System. As Executive Director, she worked with engineering deans at the private and public universities in Chicago. She succeeded in changing legislation in the State of Illinois, removing a barrier to economic development for residents living in under-resourced communities. As executive director of the Garfield Park Conservatory Alliance, she worked with city leaders, pushing for the opening of a train station that would allow direct access to the Conservatory. Today, she participates regularly in public and private forums, contributing to policy development in the areas of education, healthcare, workforce development, and economic development through entrepreneurship. Where in the world is Deborah? Having a global presence has always been a high priority for Deborah. She set goals early in her career to work around the world. She has provided business development training and executive coaching to entrepreneurs in Kenya, Macedonia, South Africa and India. As a graduate of the Gestalt International Organization & Systems Development (OSD) program, she joined a global team of organizational development professionals in the use of Gestalt theory. This training gave her experience working with clients in Budapest, Singapore, Cape Town, and Portugal. Deborah is also a member of a supportive ecosystem, United Succes™. In this organization, women entrepreneurs worldwide gather annually to hone their skills, network, and support business growth. Deborah holds a Bachelor’s of Arts Degree in Secondary Education, and a Master of Arts in Student Personnel Services from Montclair State University, New Jersey. 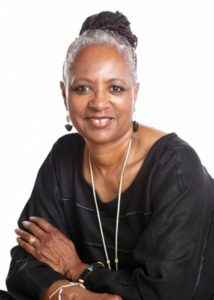 She completed coursework in Curriculum and Instruction as a doctoral student at New York University. She also completed coursework in organizational development at Stevens Institute of Technology, Hoboken, NJ.